Again for our pleasure and sponsored by Angela. In the Italian Scot Men’s group Photo. starting from the bottom row up. 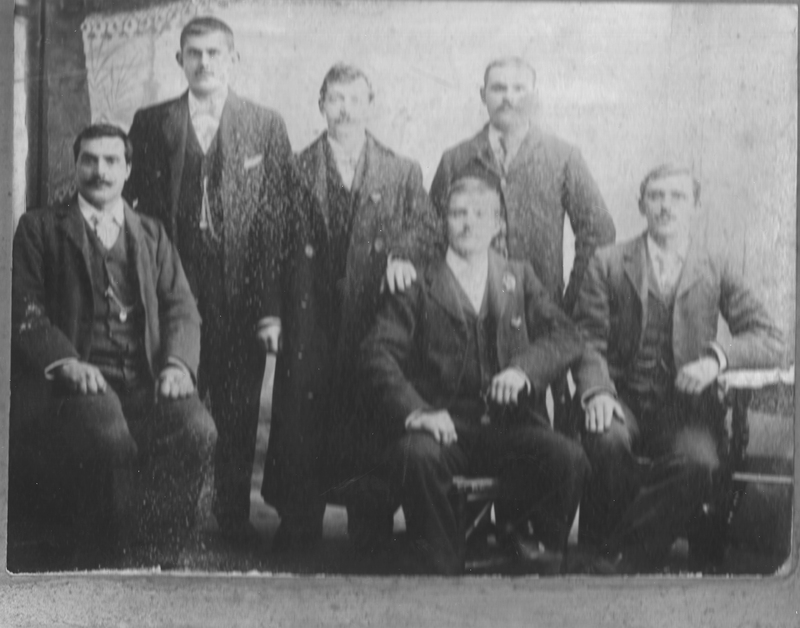 The second row and first one from the right with a hand on his shoulder is my Great Grandfather Guiseppie Dora’ born in 1860 in Rovinaglia . The son of Gian Maria Dora’ born 1838 and Maria Brattesani born 1840 also from Rovinaglia. The Dora’s date back to 1674 in Rovinaglia and I believe the Cura’ family as well.The Family may have gone back and forth to Nice, France. The family returned to Rovinaglia around 1750 and married into the Ferrari, Cardinalli, Delnevo, Orsi and Brattesani families in that order. Guiseppie Dora’ was also in the Fish N Chip’s business and when he retired his oldest son Peter Dora’ took over and Peter then changed his name to Doran while in Dundee. Guiseppie Dora’ then moved to Porcigatone and is buried in Brunelli. Giulio Giulianotti is standing in the centre of the photograph. Henry, Enrico, Eduardo and two unknown Giulianotti men are also here. Can anyone recognise them. 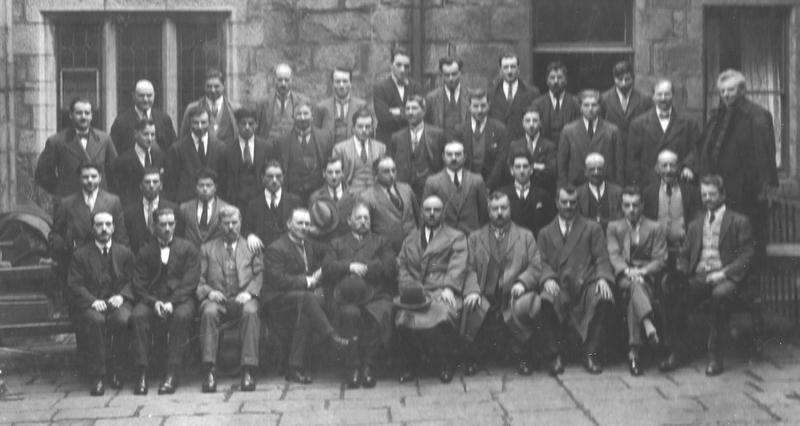 The next group photo was of Men of the Italian Community photographed in Aberdeen in 1925. Again we have Giulio Giulianotti fifth from the left seated at the front. Eddie Giulianotti is third row extreme left. Along from him in the third row is Vicci Giulianotti, count eight from the left. 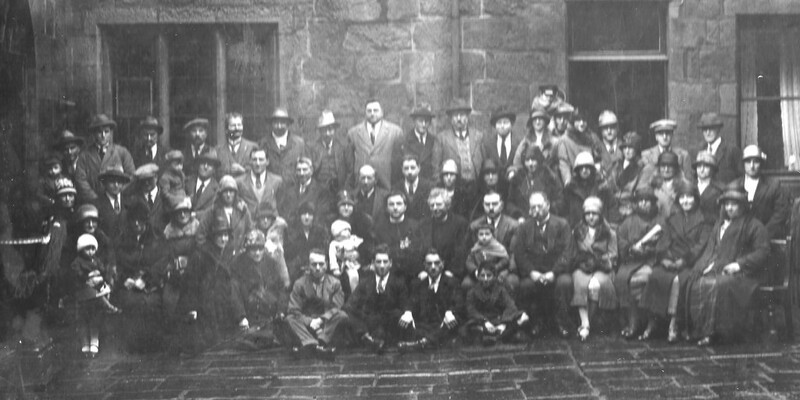 The fifth person from the left on the second row is a Giulianotti. Three along from him is Joe Giulianotti. Aberdeen Scots Italians 1925. Agostini Zecci is 5th from the left on the Back Row. Thanking his grandson Nick James for getting in touch. Many of these families originated in the Borgo Val di Taro region of Parma in Italy and their would have been family social interaction amongst them . 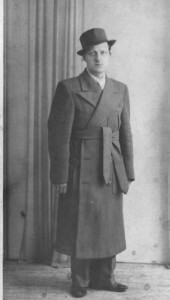 Giuseppe ‘JOE’ Giulianotti looking wonderful in his Kilt. 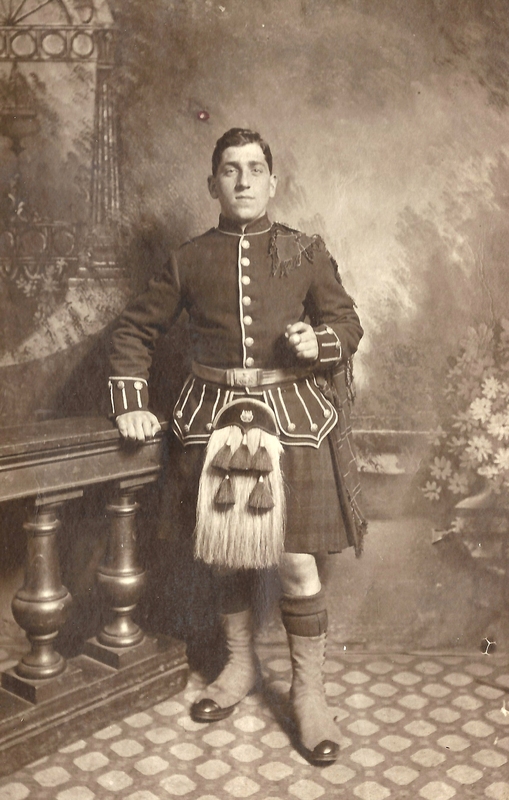 Joe served in the 3rd Batallion of the Royal Scots and was in service when he married Susan Anderson Lamb in 1918. 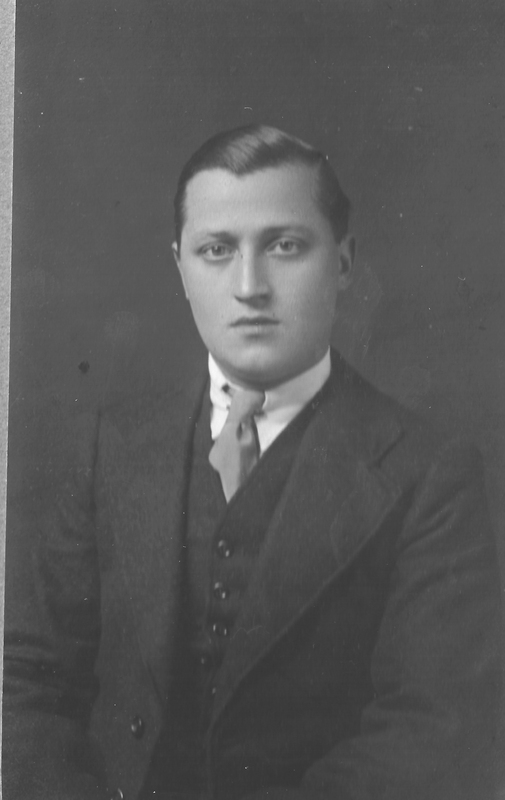 Joe was the eldest son of Giulio Giulianotti and Rose Brattisani. Is this Anthony Giulianotti with an older brother. 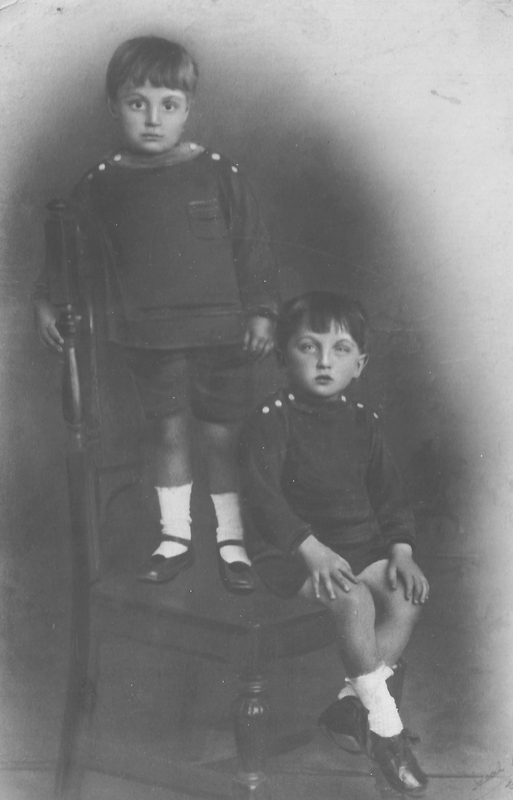 The next photograph looks like one of the four unknown Giulianotti children. Now identified as a handsome Carmine Demarco. Do we have a name for this handsome chap. 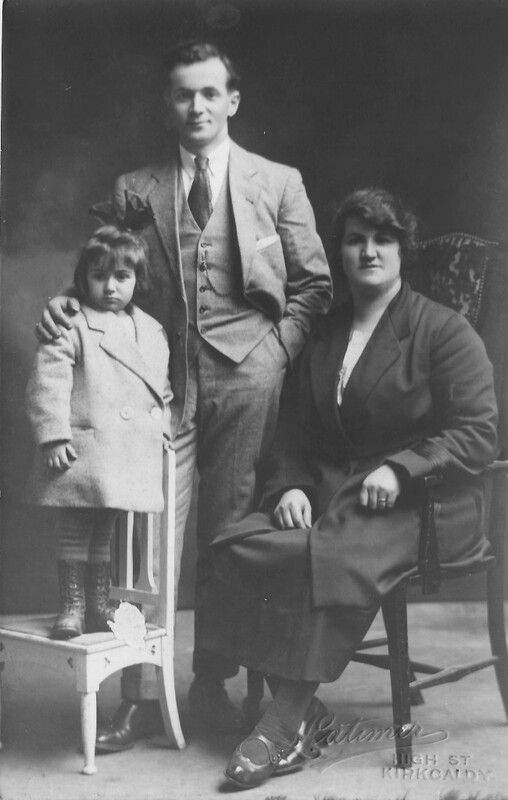 This family portrait group was taken at the Latimer Studio of High Street in Kirkcaldy in Fife. Please now see the comment below from the grandaughter of Gerardo Demarco. She believes that the family above are that of her great grand uncle, her grandfather Gerardo’s brother. Her name is Anna Valente. There is much social interaction between the Valente family, the Demarco’s, the Neri’s. The next photo again is taken in Jerome’s in Leith Street, Edinburgh. Unknown gentleman. Photo taken in Edinburgh. Thought this one of the Costella brothers but I was wrong. Does anyone else recognise this photograph.? This lovely photograph is of an Italian lady nursing her baby. The pram itself is a portrait in the making. A happy mother and child. What a great snap this was. She is holding a lucky black cat in her arms as well as the baby on her lap. At the back of the post card is written ‘With kindest regards from Mr. & Mrs. Fusco [John]. It does not seem to date back to the marriage between John Fusco and Mary Fusco which took place on 25th October 1898. Maybe Francis Fusco could help us out here. They were a very handsome couple. The next photograph was taken at the Ideal Photographic company. 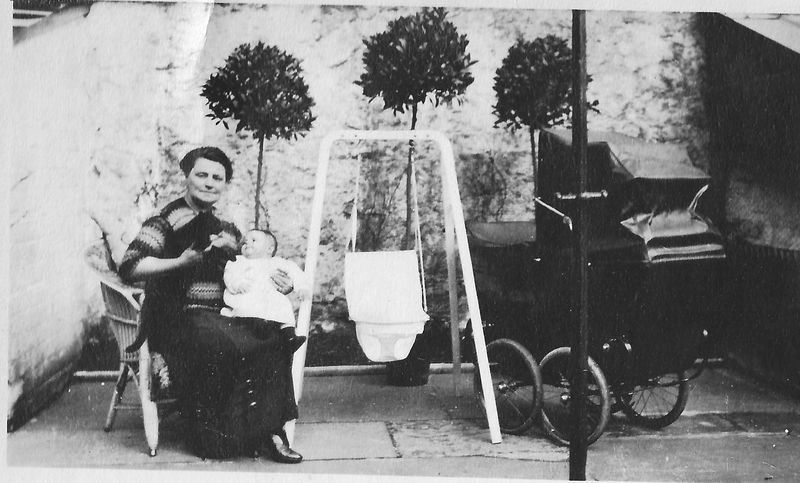 Nanny with baby 10 Greenside Place, Edinburgh. This lucky boy was Louie Costella confirmed by his grandaughter Louise. His Nanny’s name was Minnie. This photo was taken at the Ideal Photographic Studios which were situated at 10a Greenside Place between the years 1919 right up to 1960. For most of this period James Edward Greenfield was the photographer. So we have a lot of years to search for this fortunate baby. 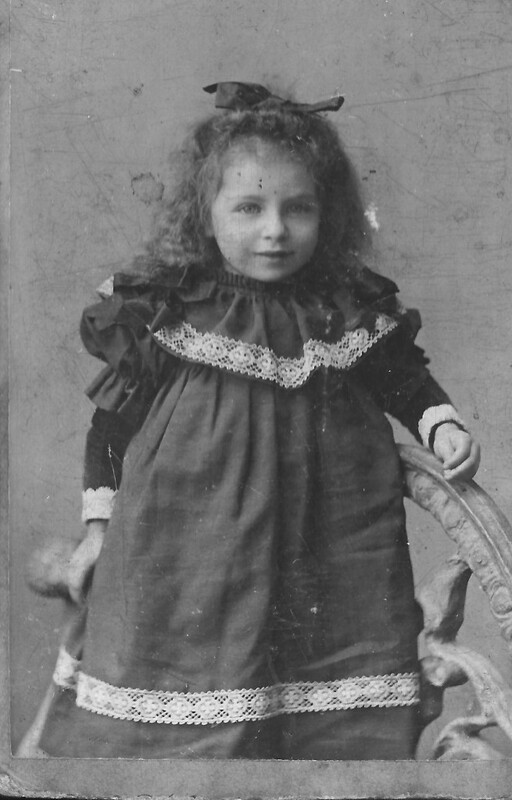 It could have been a Quilietti baby or even a Costella baby as both had children circa 1919. Photograph now confirmed as Louie Costella, son of Louisa. Thank you Louise. They had premises at 10 Greenside Place, Edinburgh. This address of course is well known to us at No. 9 Greenside Place was where the Quilietti and Brattisani family lived for many years from 1901 to 1935 or so. 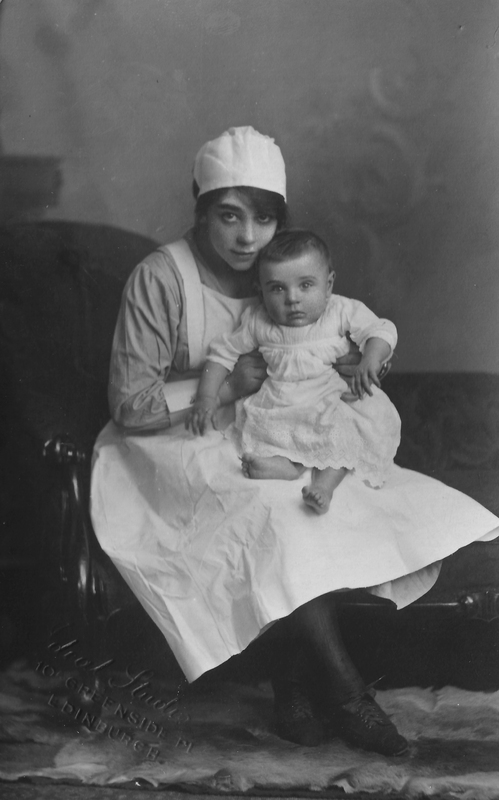 photo of baby on his nannies knee is Louie Costella. I remember him telling me his nanny was calledMinnie not sure its her though i met her in the eighties she was and old lady then so I could’nt say she was the same,could be an first baby nanny. I have’nt seen this photo in a long time. The photo of the unknown gentleman looks very much like Carmine Demarco if you compare the hair line, nose and eyes, ears and mouth to that of the gent. in Lucia’s wedding photograph they are the same.. but above he has a slightly fuller face possibly with time.??? The other gent. 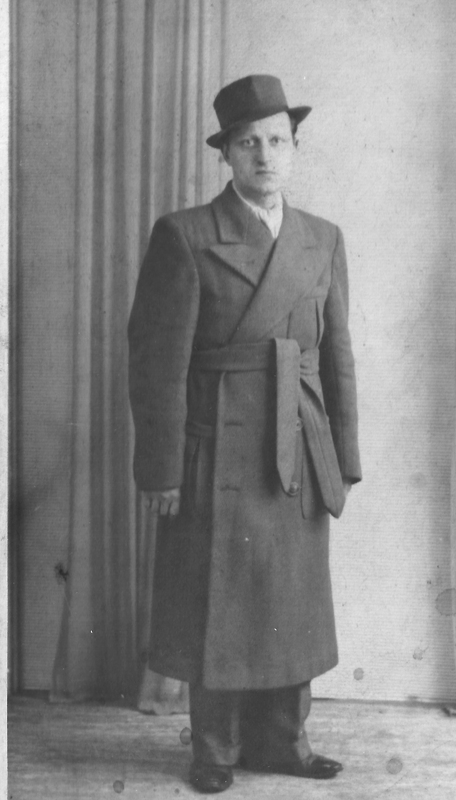 in the trench coat is not one of the Costella boys, although he does have a bit of familiar look!!! Hello Denyse and thank you for your very kind comments about our family history website Just had a look through my archives looking for your father but have not found amongst my many G. names. As said previously the Giulianotti, Zaccarini and Zanrae families were well intermingled throughout the past centuries and it is easy for someone like myself to get muddled up. I would love to hear your side of the family history and would also make up your very own pages if you want to share. Please contact me on quilietti@blueyonder.co.uk and we can have a chat. Angela Giulianotti and her family were also from London but their dad was born in Aberdeen. I look forward very much to hearing from you. Where do you live now? H i i have a photo of this handsome man, i am sure he is my grandfather,s brother of gerado demarco from edinburgh, there three brothers, gerad, gerry, and i did,nt know the other one,s name but he is in the photo of the three…thank you for this i came across it by chance, i am anna valente grandaughter of gerado demarco. Hi Helen, thank you very much for putting my name on you,r website, i feel quit chuffed, i must print it off, i have been printing so much of the family tree on photo paper gosh it will soon be a book ,thanks agaain anna. And also i am related to auntie gina gualnottie from Perth who married my mum,s cousin Lio Valente, i hope you are well, kind regards anna. Hi, Hele do you really want a photo of me in this, happy new year to you I have mums album nearly done with all if the photos in it, is there anyway I can fet the colour back into these white photos. Anna Valente. Hi there, first if all I’d like to say I loved looking through your photos. I found this site as I’m looking for more information regarding my grandfathers family. My grandfather is called Benny Marcella. I know he had a few siblings some of which were called Minnie and Millie. They lived in Aberdeen and I believe their parents moved here before some of them were born. My grandfather has told me they moved from a small village called Givarro which was beside a place called Monte Cassino in Italy. If believe they opened and ice cream parlour in aberdeen when my grandfather was younger. Any information at all would be amazing!! If anyone knows of the family or just visited the ice cream parlour or even if you gave heard of the village Givarro as I can’t find it in any maps. Thank you! Hi Helen. Thank you so much!! Hi everyone, I stumbled on your site & enjoy looking at all the old family photos.. So good U R taking the time to document it all for the web. Came across this purely by chance. Most of these names are well known to me. Unfortunately all of the older generation who could answer your questions are all gone now and I just don’t remember all the details. Both my parents families came from the Borgotaro area, Buzzo and Albareto. My mothers family were in Aberdeen, they were Zeccas, and also had an ice cream shop. My aunt married a Carcone and they were in Aberdeen all their days. The Valente name is also well known to me as there were Valentes in Kirkcaldy, Fife. My father was a Sartori from Cupar and was friendly with the Valentes. Such memories. Thanks Rosemari for leaving your comment. How wonderful to hear from someone with memories and connections. Angela did a wonderful job by letting us publish her lost photographs. It is amazing just how many we are now recognising and naming. The families from Borgotora seem to very socially interactive with cousins marrying cousins etc. and sometimes it is not easy trying to untangle some lines, especially the family from Aberdeen, the Zanre, Valente, Giulianotti etc. being but a few. Buzzo and Albareto however are not two that I have stumbled across until now but I am sure that connections were there. If you want to send me some photos I would be happy to start a page for you. Do you know we just stumbled across a bag of old photographs yesterday and were looking through them. 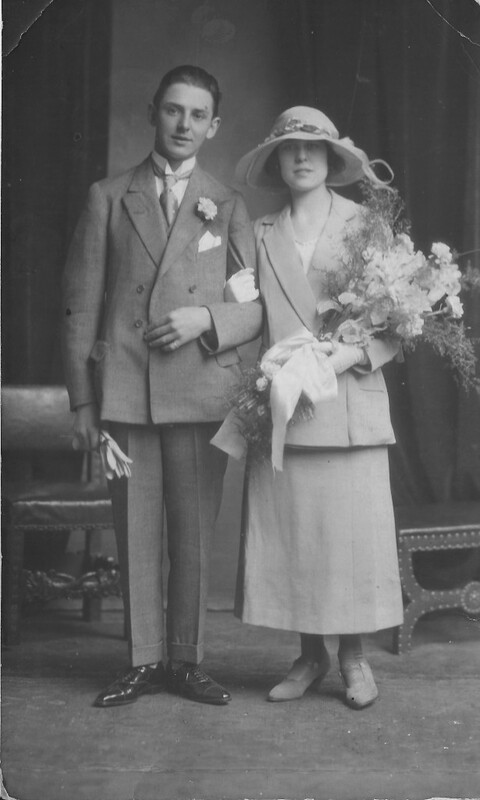 A lot of the photos are of my parents wedding day in Aberdeen and some of my aunt who married into the Carcone family. The guests would have been made up of a lot of the Italian community, faces which are known to me but the names are long gone. I think my mother’s flower girl was a Guillanotti. I remember they had a lovely big café (restaurant?) on a corner in the centre of Aberdeen and we frequently visited. I also remember the family speaking of “the Dora’s” and the “Berni’s”. My mother’s father was Luigi Zecca and her mother Maria was an Orsi before marriage, she unfortunately died fairly young. It might be interesting to pick out one or two photos taken with the guests as someone else might be able to name them. Did you come across a Berni who immigrated to Aberdeen from Bergotaro in the province of Parma. He had three children, Louisa, not sure but i think Anita and Leonard. I am replying to the woman who asked about Marsella! My maternal grandfather was Antonio marsella from monte Cassino ! He was an ice cream maker! He invented water ice in Philadelphia ! He came to America in 1899! I wonder if it is the same family! P.S. last but not least Guiseppie Dora’ married Lucia DelGrosso born 1852.